Front Suspension Ø40 mm Upside-down telescopic fork. 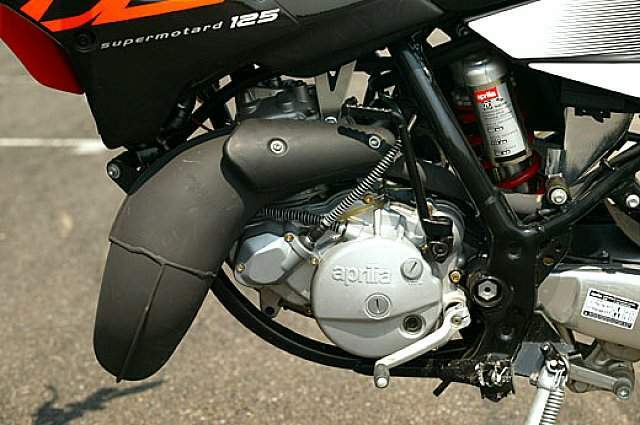 All, naturally, “sauced up” by a line designed based on the most modern style concepts of the Supermotard speciality, but with the ever present mark of the Aprilia personality, which has always brought to each of the segments it operates in an unmistakeable and often indelible sign of its style, with genial and innovative ideas. Supermotard means safe fun and an authentic riding feeling. 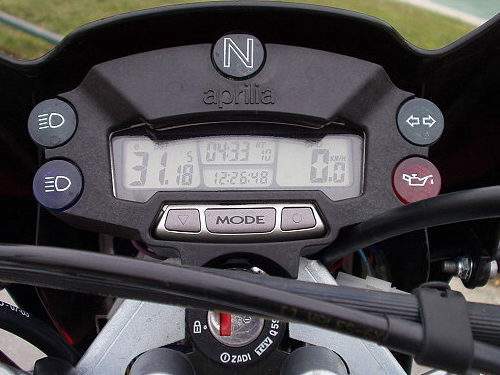 Aprilia interprets this philosophy, shared by the young, true motorcycling enthusiasts, to perfection. 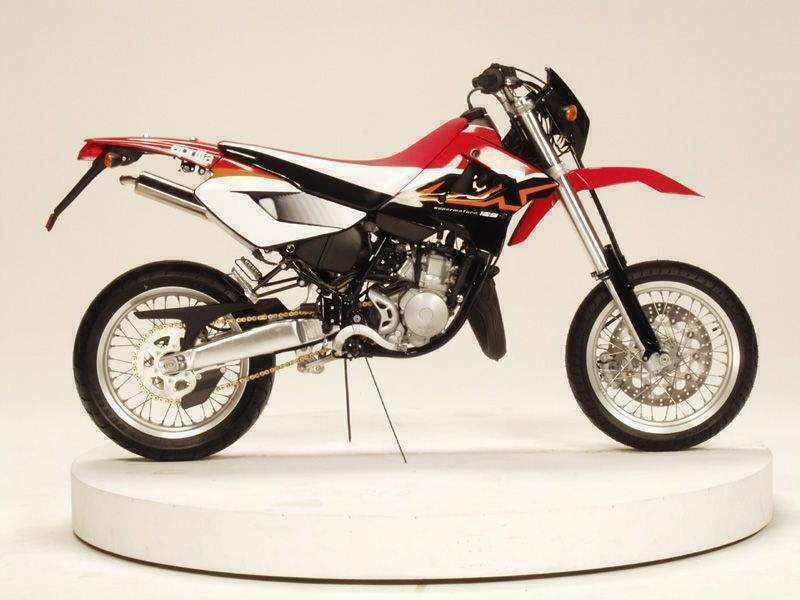 The MX 125 puts these concepts on the road.